The new addition to the gaming market, GTA V PC is finally out there in stores for PC gamers to enjoy. The game has lived upto its expectations so far and the anticipation is getting higher and higher. The game features a huge variety in graphic settings allowing it to be playable on mediocre gaming computers to high end workstations. The game has some initial issues but a new patch update has surfaced last night fixing some of the game issues. Another thing we’re fond of the franchise on PC is the easy availability of hacks and mods, which make the game much more fun to play. GTA V PC features a new trainer for the game which allows you to get Unlimited Health and Ammo. So if you like a nice throwback to the older shootout days but don’t want to risk your own skin, it’s probably a good idea to get this trainer and get straight into action with gangs, police and cartels. And of course, being fond of cheating is one of the forte’s of all trainers. You can check out the GTA 5 PC “trainer” created by LinGon here. Once installed, the trainer is useable in story mode simply by pressing the home key allowing you to get your hands on some very yummy cheats like infinite health, stamina, oxygen, and ammo, super speed, and somewhat “partial” immunity from wanted levels. 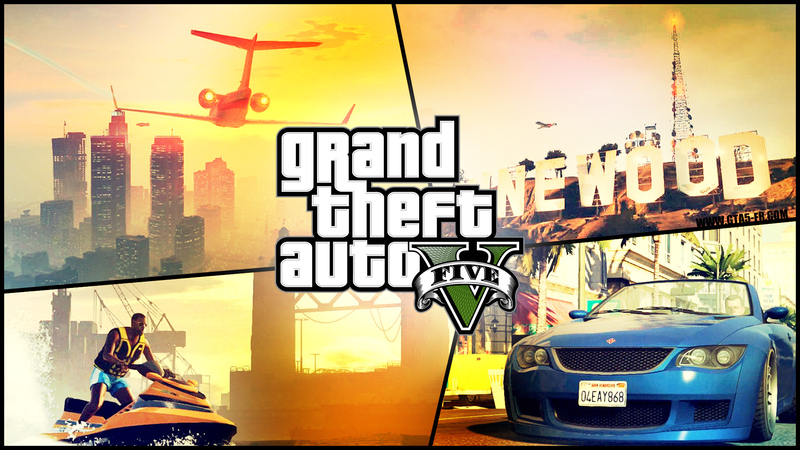 It also allows to to teleport around the map by using waypoints instead of driving all the way across Los Santos. While it may make the game a bit boring but you can use it when you’re not in the mood for secondary Stuff while doing missions. Remember not to mess with the online version of GTA if you want to avoid bans as this is a huge cheat and may not be hard to catch. So keep you eyes open, play smart and cheat the game. With that being said, you can go ahead and enjoy you copy of GTA V PC to its fullest.